Registration includes all educational sessions, keynote luncheon, Mayor's Welcome Reception and gala awards dinner. SAVE when multiple persons from your organization attend! Register together and take advantage of reduced registration fees and build your team! Go to www.filipinawomensnetwork.org/events to register. - Daily rates are nonrefundable. - Congratulatory ads are nonrefundable. - Additional-fee event tickets are nonrefundable but transferrable. Cancellations must be made in writing and emailed to filipina@ffwn.org. Cancellations until Aug 30, 2011 will be granted an 80-percent refund of your paid registration (excluding membership dues). Cancellations received after Sept. 15, 2011 and no-shows are nonrefundable. No exceptions will be made. FWN will process all refunds 7 business days after the summit dates. Email your transfer request to filipina@ffwn.org with the person's name and contact information before Sept. 15, 2011. If a FWN member transfers her registration to a nonmember, the nonmember must do one of two things: (a) Pay the difference of the member and nonmember price at the time of transfer, or (b) become a FWN member at the time of transfer. All travelers to the U.S. must have a passport and visa to enter the country. For more information, visit the U.S. State Department’s travel web site at http://travel.state.gov/visa/temp/info/info_1304.html. FWN will provide confirmation letters upon request only to individuals who are already registered and fully paid for the FWN Filipina Summit. You can use your confirmation letter for your visa application and arrangements. If you are NOT staying at the Stanford Court Hotel, or staying with friends or family, please email us your itinerary schedule. Make sure you know all the times that you need to be at the hotel and other venues for all the activities. please email us where you're staying. Make sure you know all the times that you need to be at the hotel and other venues for all the activities. Filipina Women's Network Filipina Leadership Summit. Valet parking is available on-site at $52.44/day (includes tax). From the airport, we suggest taking BART, the airport shuttle, or taxi service. Additional parking close to the Stanford Court is the Brocklebank Garage, 1040 Sacramento St. (corner Powell St.) a couple of blocks from the Stanford Court. Call 415-777-4042 for up-to-date information about parking rates. 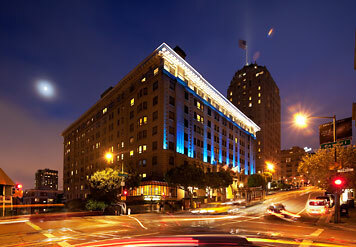 Just around the corner are the Masonic Center and Grace Cathedral Garages at $27 to $30 for Friday. Ask the hotel concierge for directions. Proud to be the official airline of the Filipina Women’s Network. Go to www.southwest.com for competitive rates. Click here for SFO's Transportation Services webpage. 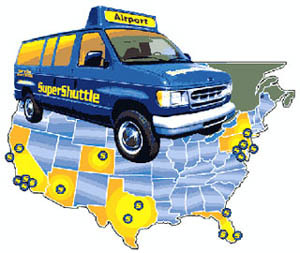 Upon arrival at the San Francisco Airport, you will need to call Super Shuttle and let them know you have arrived. Provide your airline and they will give you instructions where you will be picked up after you claim your luggage. Fare: $17.00 one way/ per person on a shared ride van. Also, you will need to make reservations with Super Shuttle for your return to the airport. Taxis are available but will cost approximately $55 per cab. If there are two or three of you traveling together – it might be worth the fare, but check with cab driver so you are NOT charged the $55 per person. BART operates rapid rail service to northern San Mateo County, San Francisco and the East Bay directly from SFO. The SFO BART Station is located on the Departures/Ticketing Level of the International Terminal (Boarding Area G side). BART is easily accessed from any terminal by riding SFO's AirTrain to the Garage G/BART Station stop. There is no charge to board AirTrain.